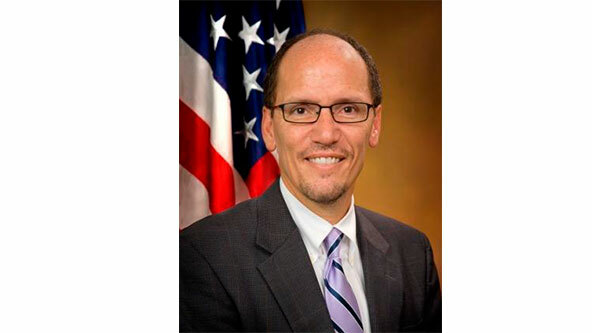 This morning, President Obama nominated civil rights lawyer Thomas E. Perez as the new secretary of labor. According to the New York Times’ Peter Baker, if approved Perez would move from the Civil Rights Division at the Justice Department to replace the recently departed Hilda L. Solis who left the Labor Department in January. Baker reports Republicans could be spoiling for a fight over the nomination because of long term tensions between liberals and conservatives in the civil rights division Perez leads, as well as his aggressive pursuit of discrimination and brutality claims against law enforcement agencies. A group of European agencies has pulled resources to create a series of chemical safety videos that employers can use to supplement HazCom training. The videos feature a character named Napo who finds himself in perilous situations and where he alternatingly makes good and bad decisions related to chemical safety and work safety in genera. Because the videos have been created to work across international lines, none of the characters actually speak – instead the instruction is visual based – with characters using a “wordless language.” It’s something akin to the adults in the Peanut cartoons. In an article posted by the Association of Corporate Council via Lexology, it was reported that on February 27 the Supreme Court unanimously disapproved of OSHA’s practice of extending the statute of limitations for violations based upon when the violation was discovered rather than when the violation incurred. OSHA had been operating for years on the premise that a violation continues until it is corrected. Based upon the top court's recent decision, the authors of the post are recommending that employers do not accept OSHA citations for alleging violations more than six months old. In a February meeting with OSHA employees, OSHA director Dr. David Michaels congratulated all on their work in the preceding years and then set the tone for 2013. He said one of his main objectives is to “educate our country's employers about moving beyond reactive compliance to embrace a culture of safety,” and that his number one priority remains the Injury and Illness Prevention Program (I2P2). Also in his speech, Dr. Michaels said more work was needed to improve Hazard Communication to get Permissible Exposure Limits (PELs) up to date, including establishing PELs for thousands of chemicals currently in use without any.